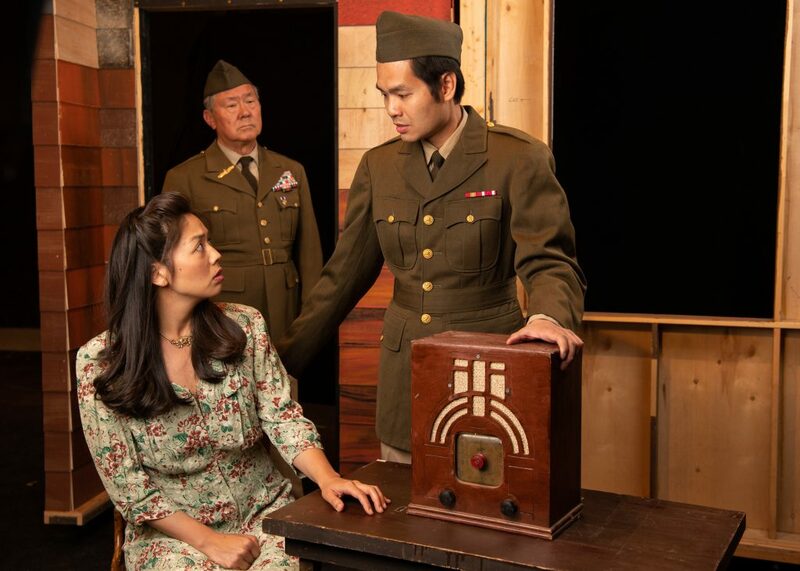 “Allegiance” connects the shameful history of Japanese American internment during WWII with a family’s story of hope and resilience. We follow the Kimura family from their Salinas farm to captivity in a Wyoming relocation camp. But “Allegiance” is no downer. 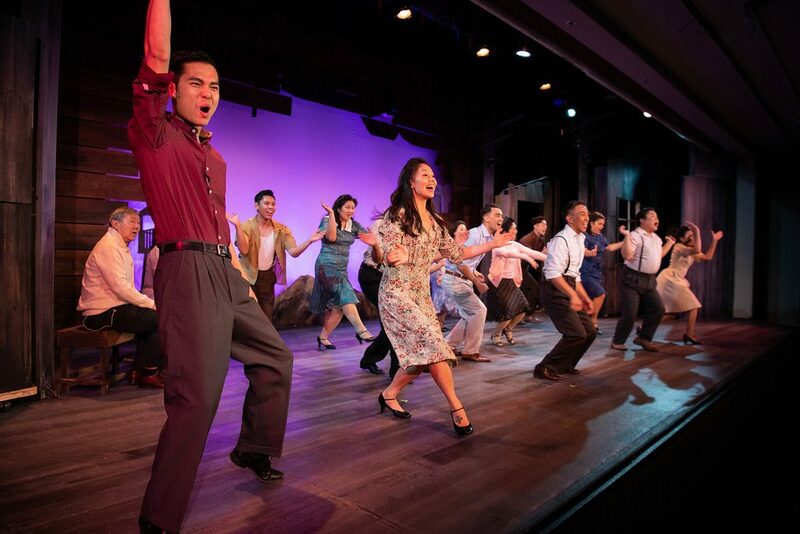 This plucky musical is jam-packed with heartening songs of family, love, and redemption. After some dissonance, Jay Kuo’s writing rises to brilliance. Starting with the charming “Wishes on the Wind,” the cast moves to upbeat numbers, displaying their dance chops to a boogie-woogie beat. The ensemble seamlessly adds rich chords and beautiful harmonies. “Allegiance” features two captivating romances. Hannah Campbell, (talented Emma Onasch) the camp’s nurse, brings warmth and joy to Sammy Kimura (fiery Vinh Nguyen). Onasch’s amazing natural soprano and great comedy talent make her a star. Sammy Kimura embodies the role with convincing realism. Both in the internment camp and on the battlefield, Nguyen movingly imparts Sammy’s determination and optimism. Frankie Suzuki (sparkling Nick Rodrigues) romances Kei Kimur (superb Lindsay Hirata) with the satirical song “Paradise,” culminating in their beautiful duet “Nothing In Our Way.” As Kei Kimura, Hirata performs gorgeous ballads like “Higher” with judicious use of vibrato. Hirata’s lyrical expression, precise timing, and graceful presence raise her to star status. 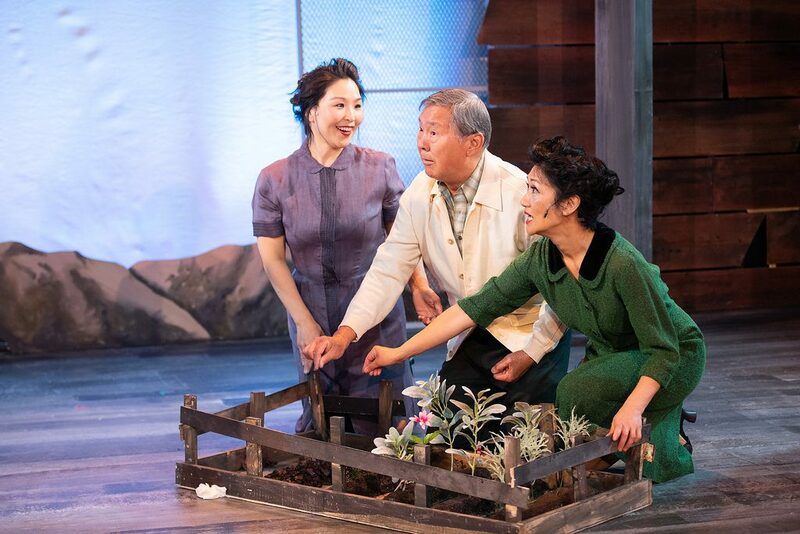 Older men, Sam Kimura and Ojii-Chan (both played by amazing Dennis Yen) embody the heart of “Allegiance.” In the Epilogue, Yen’s Ojii-Chan leaves no dry eyes. Yen brings rich humor, elegance, and ease to his indispensable roles. He adds pathos as he tends his garden during the shocking and soul-stirring bombing of Japan. 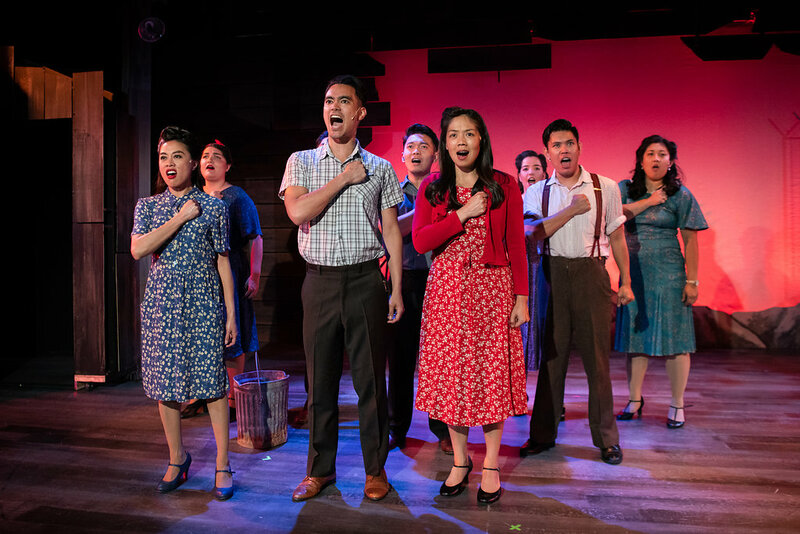 Suffused with cacophony, horror, and happiness, “Allegiance” brilliantly portrays a historically accurate view of a dark chapter in U.S. history. A trip to Contra Costa Civic Theatre will prove that history set to music can set us free. Pauli Amornkul, Jomar Martinez, Anne Yumi Kobori, Marah Sotelo, Domonic Tracy, Edward Nattenberg, Nicole Ogata, Celeste Kamiya, Alvin Castillo Buñales, and Joseph Alvarado. “Baby Doll” Teases Out Tense Truths, at Shelton Theater, S.F.